Recently I interviewed my very good friend Mari Smith, the “Queen of Facebook.” She’s coauthored the most popular book on Facebook called Facebook Marketing: An Hour a Day and has an exciting new book on relationship marketing. You’ve also seen her outstanding articles on Social Media Examiner pretty much since our inception, and she’s also the anchor of Social Media Examiner TV. She now has a brand-new hot book out called, The New Relationship Marketing: How to Build a Large, Loyal, and Profitable Network Using the Social Web. Catch the full interview (audio) at the end of this article. Mike: Your new book is called The New Relationship Marketing, and I want to key in on the word “new.” What’s new about relationship marketing? Mari: Well, first of all, the phrase relationship marketing was coined way back in the ’80s by a professor, and I have for 10 years—long before Facebook was even on the map—called myself a “relationship marketing specialist.” And I love that term because to me it transcends the medium. It’s all about people doing business with people. What’s new is the social networking aspect and the fact that business is much more personal now. Everything is out in the open with the advent and popularity of social networks like Facebook and Twitter. People are being much more open. Consumers are sharing vast amounts of information about themselves online, and as a savvy marketer, you can use that in creative and respectful ways to actually reach out and forge new relationships and deepen existing ones. Marketers can actually use online social technologies to create new relationships with prospects, customers and potential business partners. Using information that people are sharing openly and publicly about themselves, a friend of mine has a key contact with whom he really wants to do business. He looks at that person’s Facebook profile and finds out what some of his favorite movies are. Then he does a little bit of research, and he’ll go onto eBay and find a piece of a movie set from that particular person’s favorite movie, for example, and he sends it to him. He told me that he’s gotten so much business from it. It blows people away. I’m not the type of person to post anything negative or derogatory. I’m not going to complain about a brand publicly like that, but I wanted to express that I wasn’t terribly happy. As it happened, I had forgotten to bring my iPhone charger with me, so I just put a little tweet out @AlaskaAir indicating I forgot my charger and: “Oh, bummer about the five-hour delay.” I didn’t think anything of it. I go off to a quiet spot in the San Diego Airport and I begin to do some work on my computer. I’ve got Internet. I’m okay. I’m plugged in, I’m wired in—I can always do stuff. Forty-five minutes later, I hear this voice, “Hello there. Excuse me, are you Mari Smith? We have an iPhone charger for you.” I was absolutely gobsmacked! They really went the extra mile, and to me this is what the new relationship marketing is. You can take publicly available information to build a relationship with a prospect or existing customer. I will now go out of my way to fly Alaska Airlines because of their emphasis on really caring. It didn’t stop there. They have sent me vouchers in the mail for Internet access on their planes and things like that. I would imagine one of the take-home points here is that it doesn’t really matter what kind of business you’re in—on the business side of things, you can be watching for these opportunities to make a difference. Can you share one or two of the softer skills that you think marketers need to develop in order to try to build relationships with “strangers” via new media? Mari: The first skill, without a shadow of a doubt, is empathy. But underneath it all, there are also the soft skills. Soft skills are like people skills. People skills have never been more important than now because things can be taken out of context and misconstrued. You can say something in jest and someone takes it seriously, and so forth. But the empathy part, especially, on Twitter where the messages are limited to 140 characters, it’s really easy to take things out of context. You have to train yourself and build that muscle to read between the lines and read what’s not being said. Mike: Can you give us an example of a situation you’ve been in or that you’ve heard about where empathy helped build a relationship in a place that it didn’t seem plausible? Mari: Off the top of my head, an example comes to mind which may be not quite in line with what you’re asking. But one time, somebody decided to put up a big blog post and start a meme with a hashtag. The hashtag was just #Iloveyou. This guy was really imploring people, whether they were a professional or a business or an individual, to just really go with this hashtag #Iloveyou. For this one girl, it was literally the catalyst she needed to make this profound shift in her life. She read this blog post, she got caught up in the meme, and she really, really felt connected with people when she hadn’t been before. And she shared that nine years before, her mother had died, and they were on bad terms. Her parting words were rather harsh, and she just kind of got shut down. She closed down her heart and didn’t really want to be friends with people. She saw this meme go by and it made such a profound difference to her that she was able to open up and share more with people. Let me give you another example on a grander scale. Recently, there have been a lot of hurricanes. Sometimes individuals and brands try to capitalize on a situation for commercial gain, and it ends up being devoid of empathy. Recently someone had posted an image trying to build up their presence on Facebook. They were saying, “Click ‘Like’ to wish everyone safety during the hurricane.” Well, of course, they got all these likes. It was weird. Empathy, to me, is like listening between the lines, putting yourself in the other person’s shoes. This girl losing her mom and the “I love you” meme, putting myself in her shoes was like, “Wow, that was really brave of her.” She just put herself out there. She wrote up this big blog post that was completely transparent and it let people in. To me, a large part of this relationship marketing concept is allowing yourself to be a little bit vulnerable and let people in. They naturally empathize with you, in fact. Mike: Let’s talk about maybe one other soft skill that you think marketers need to develop. Mari: I know that this one will resonate with you, Mike. It’s basically giving with no agenda. It’s helping people just because you can if you see a question on Facebook or on Twitter. When you do that, you’re building this grand social capital, and what comes back to you is that someone in that grand scheme will do business with you. It may not be the person that you directly helped initially, but if you keep contributing and giving with full intent of just being a genuine, caring person, that totally comes across. It’s a fine line. I see people all the time who really genuinely believe that they’re giving with no agenda, but you can feel it. There’s a great line in the book Tribes, by Seth Godin. He says that people can “smell the agenda of a leader.” I think we can smell the agenda of anybody. Mike: “Give to get” is this thing that so many marketers have been trained to do. “If you give something, you’ll get something in return.” I don’t think that’s a good reason for us to give. I think when you just give in a genuine way, people know it and it’s an expression of care for them. It is an expression of love for your customers and the end result can be something positive. I’ll share a brief little story. There was a lady who had to ask for a refund from one of our events. I felt really sad for her situation, and I said, “I’ll give you your money back and you can still attend.” She was blown away by that, and she ended up attending another of my events. She sends me emails all the time, saying, “You’ve really taken great care of me in the past. You don’t know how much it made a difference to me.” So these kinds of things can be very rewarding. Mari: For the longest time, my motto has been “Relationships first, business second.” And if you focus on building those quality, really connected, genuine, caring relationships, what happens is the business naturally follows. But I think people tend to get a little fearful. They think that they have to focus on only the business and hopefully the relationships will follow, but you have to get it the other way around. Mike: So how do you manage it all? The content part is somewhat easy to systematize, even to outsource and delegate. Create a content calendar so you can decide ahead of time what you’re going to post on your various social profiles. You can have someone on your team who helps with that and goes out and looks for content to curate. You can use pre-scheduling platforms. I’m a huge fan of HootSuite. I use it every single day for Twitter in particular. There are these studies out there where people are talking about, “You should be tweeting 20 times a day for optimal results,” and that’s pretty much almost once an hour, day and night. I think that’s far too much. The thing is consistency. Less is more. At the end of the day, you want to be the voice that’s remembered, not just heard. So you send three to five really helpful, useful resources in quality posts, something profound—an inspirational quote or whatever it might be—both consistently and daily, which you can do with the scheduling. Use rigorous time management, using a stopwatch if you have to or having a friend call you, if you find you do get drawn in and consumed. I struggle with this one on a regular basis, but I manage somehow to do it. The content can be planned and scheduled. What ends up happening in the “connection” aspect—even if you don’t get around to replying to everything out there that people are saying to you or about you—if you reply to as much as you can, you will give the appearance of somebody who is conversational, connected and caring. That’s what’s happened to me, in fact. Some people will say that about me. “Mari doesn’t get around to 100% of her @replies on any given day, but we know that she does her best to try to get to them all.” And people feel valued. Mike: You talked about how you can schedule things, and I think you alluded earlier to the fact that it’s helpful to have people who can help you. In your book, you talk about the importance of developing a support team. Can you briefly explain why this is important and why people should do something like this? Mari: Even if you’re a sole proprietor or solopreneur, at some level, you’ve got people supporting you. I really challenge people to think bigger, to dream bigger. If you have a talent or gift to bring to the world, if you surround yourself with really, really competent people, this will free you up to do more of what you’re good at. I think that when you have terrific team members, that really can augment what you’re providing out there. It can help you have stellar customer service. I talk a lot in the book about values, and I use Zappos as an example. Tony Hsieh has 10 core values for the company. Out of that emerges this culture. I think that any company—I don’t care what size you are, small, medium or large—when you embody a really powerful value-driven culture, that comes out. It automatically permeates all your social interactions. Zappos really empowers their hundreds of staff to be discerning on their social profiles. I think at any given time, you should know who’s on your team and what kind of stuff they’re putting out there. Are they representing you well? You don’t want to look like a broken-down store with half-baked profiles out there. Mike: In your book, you talk about different circles of relationships with people. You talk about intimates, your friends, your key contacts, your acquaintances and the community at large. I want you to identify which of these groups are the ones we should focus on when it comes to relationship marketing. Mari: Absolutely key contacts. It’s not always about the numbers. It’s not to go and just jam up your Rolodex with every top influencer and key contact that you can. If you get three to five stellar contacts who are aligned with your values and they’re willing to create a win-win venture, alliance or strategic partnership, that can be extremely lucrative for both parties. In addition, you can expand beyond that three to five to have maybe 15 to 20 key contacts from whom you can easily call in favors. These would be people who would have a large following on any of the different social networks. They might have a large email base and things like that, and they would support you in a heartbeat. If you message them directly and ask them if they could retweet something for you, absolutely, of course they would do it for you. They would want to be part of something that you’re part of. So really look to see whom you can add to that key contacts circle and really nurture them using some of these relationship-building techniques we’re talking about. Mike: This is kind of a crazy question, but I know it’s the one everybody wants me to ask: “How do I become the center of influence in my network?” I ask this carefully because I know that sometimes being the center of influence has pros and cons. But I think really where I’m going with this question is: how can I be someone important and perceived to be important to those within my network? Mari: In essence, I really like to treat everyone as equals. I will interact with someone exactly the same whether they have 10 followers or 10,000 followers or a million followers. It’s all people to me, and I just like to treat everyone as equals. Then also in regard to influence, I think we have it in our brains and perceptions that you need a massive audience to be an influencer. Ultimately, we all influence. In some way, shape or form, we have an environment around us filled with people whom we influence. Essentially, you earn trust—and this will be music to your ears, Mike—by becoming a top-quality content provider. People realize they can come to you. They know you’re like a breath of fresh air because when they’re looking for a certain answer, they’re coming to you. You can do that even through curating other people’s content and having this attitude—as we’ve been saying throughout our chat here today—of being someone who’s kind, inclusive and generous. And it’s also that you’re focused. I see a lot of people who are very scattered. They’re an expert in this one day and an expert in that tomorrow. But if you’re really focused, which I like to say stands for “follow one course until successful,” and you become this really kind person who’s consistently focused and providing great content, people are just naturally drawn to you. Also, it’s expressing an opinion about the content that you’re sharing, not just necessarily retweeting everybody, but actually saying what it means to you. Mike: This has been really spectacular stuff, Mari. I’m going to now ask you a question that might be difficult for you to answer. If there was such a thing as a “Mari reset button”—if you had to start all over from scratch and you didn’t have all the stuff that you have today except for the knowledge that you’ve gained, what would you do differently? Mari: You know, I would absolutely think way, way bigger. If I was even to reset maybe 10 years ago, I would take far bigger risks, and I would step it up. I would live a life in alignment with my truth, my dream in my heart, my vision, my power and my light far sooner. It took me a long time to get to the point that I’m at now. I joke about being an “overnight success” 10 years in the making. Mike: That’s pretty quick by a lot of standards. Mike: Well, you’ve done a really spectacular job. I’m very excited about your new book. And the new book, once again, is called The New Relationship Marketing: How to Build a Large, Loyal, and Profitable Network Using the Social Web. Mari, where can people learn more about you and your book? 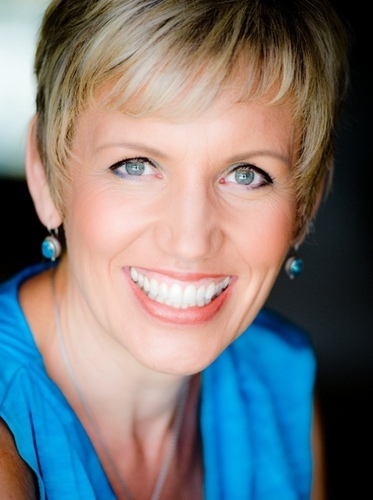 Mari: My main website is www.MariSmith.com, but I do want to direct everyone to the book site, which is www.RelationshipMarketingBook.com. Mike: Mari, I really appreciate your time today and I wish you the best with the new book. Mari: Thank you. It’s been a delight. Listen to our complete extended interview below to hear more about Mari’s nine-step program for building a loyal network. What did you think of Mari’s step-by-step plan? Leave your comments in the box below.